Star Wars The Black Series Kylo Ren Throne Room Action Figure 6" NEW!! 1x Hasbro Star Wars the Black Series Titanium - Death Star #33. New in box - fresh from the case! Have an issue with your order?. Item condition. Star Wars The Force Awakens ArtFX Kylo Ren. Condition is Used. Unfortunately his light saber is not included. Shipped with USPS Priority Mail. Enter the world of Star Wars and launch into action and adventure! Re-create your favorite Star Wars scenes or make new adventures of your own! May the Force be with you! THE FORCE AWAKENS! Based on the character seen in the movieStar Wars: The Force Awakens ! Hasbro Star Wars The Black Series Kylo Ren Action Figure. Condition is New. Shipped with USPS First Class Package. 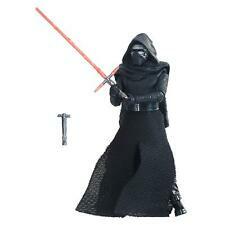 Star Wars: The Last Jedi Kylo Ren Force Link Figure 3.75 Inches NEW. Condition is New. Shipped with USPS First Class Package. 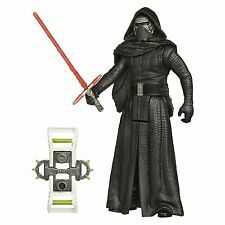 kylo ren sh figuarts Star Wars Force Awakens . Condition is Used. Shipped with USPS Parcel Select Ground. Near mint in sealed box. Adult non smoking collector. All come in a Retroprotection case. See photos. VC118-First Order Stormtrooper, VC116-Rey (Jakku), VC119-Jyn ERSO & VC121-SNOKE. Hasbro Star Wars KYLO REN Action Figure 6"
Throne Room. Star Wars The Black Series. 31" Kylo Ren. The Force Awakens. Star Wars VII 31" Height x 12" Width. SH S.H. Figuarts Kylo Ren Star Wars The Force Awakens Bandai. Complete with all accessories and in great condition. 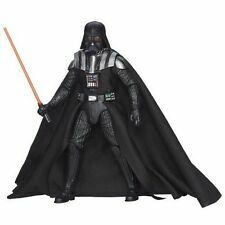 Brand New Specifications Character Kylo Ren Brand Star Wars Age Range 4 to 98 years Color Black This 6-inch-scale Kylo Ren in Throne Room figure and stand from Star Wars The Black Series is carefully detailed to look like the dark warrior from Star Wars: The Last Jedi. Figure features premium detail and multiple points of articulation, and includes a Crait stand inspired by one of the iconic locations in the film. Also includes Diecast accessories, premium fabric costuming, and enhanced, authentic, movie-accurate detail. ---Collector grade quality figure with enhanced, authentic, movie-accurate detail ---Premium packaging and design ---Recreate action and adventure from the Star Wars universe Star Wars products are produced by Hasbro under license from Lucasfilm Ltd. Hasbro and all related terms are trademarks of Hasbro. 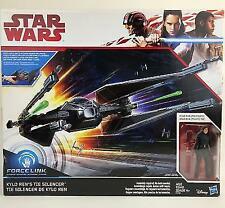 Star Wars *The Black Series* Kylo Ren Starkiller Base NEW IN THE BOX . Condition is New. Shipped with USPS Priority Mail. ● SALE ● Star Wars Black Series Kylo Ren #45 Wave 12 EP8 The Last Jedi. NEW. 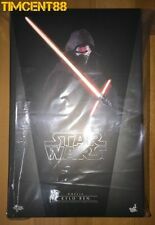 One Star Wars Kylo Ren #45 NEW in box. I ship same day or within 1 business day. Please feel free to browse my other listings. If you would like to make multiple purchases, add to your cart and message me. I will offer discount and combine the shipping. Thanks for looking and have a great day! 5 out of 5 stars - ● SALE ● Star Wars Black Series Kylo Ren #45 Wave 12 EP8 The Last Jedi. NEW. 4 product ratings4 product ratings - ● SALE ● Star Wars Black Series Kylo Ren #45 Wave 12 EP8 The Last Jedi. NEW. Condition is Used but like new. 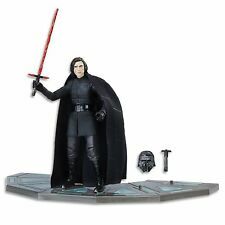 Star Wars Kylo Ren Centerpiece Collectible Black Series Hasbro Disney. Condition is New. Shipped with USPS First Class Package. Trending at $5.74eBay determines this price through a machine learned model of the product's sale prices within the last 90 days. Star Wars Kylo REN. 60 sounds responds to how you play. Moomoo market. HASBRO STAR WARS BLACK SERIES 6" inch Kylo Ren Unmasked Exclusive SDCC 2016. Condition is New. Shipped with USPS First Class Package. Star Wars_BATTLE ON CRAIT 4pack and Force Link 1.0 with Kylo Ren. Big sales deal. Condition is New. KYLO REN #45. Star Wars The Black Series. BUBBLE WRAPPED ! 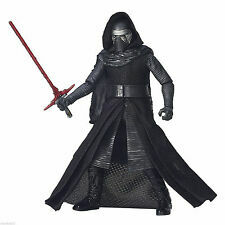 New ListingNenderoid Kylo Ren Star Wars the Force Awakens. #726 Good Smile Company MISB. Nendoroid #726 Kylo Ren Star Wars Episode VII The Force Awakens MISB. Shipped with USPS Priority Mail. Any questions or concerns please message me. Thank you for looking! STAR WARS The Black Series | KYLO REN Throne Room Figure w/ Accessories | C3222. Condition is New. Shipped with USPS Priority Mail. TRIPLE BLADE LIGHTSABER MMS438. HOT TOYS: KYLO REN THE LAST JEDI. YOU WILL BE THRILLED WHEN THIS ONE ARRIVES. Brand new, it's never been opened, I picked this up from my local Walmart awhile back, I'm now trying to sell it. Thanks for looking!